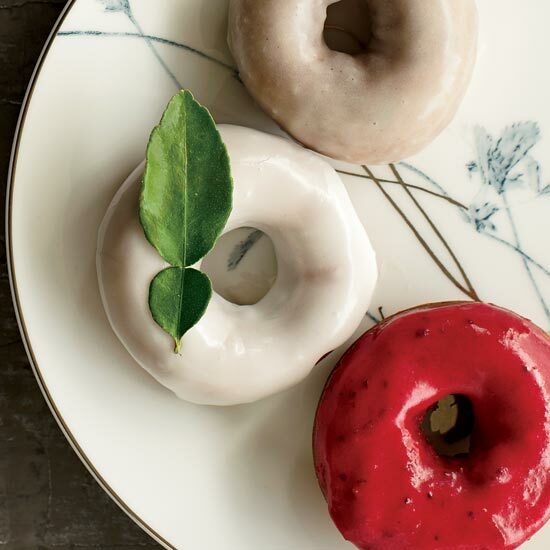 Two Seattle bakers—Top Pot Doughnuts owners Mark and Michael Klebeck—with a cult following inspire DIY devotees at home with their homemade doughnut recipes. 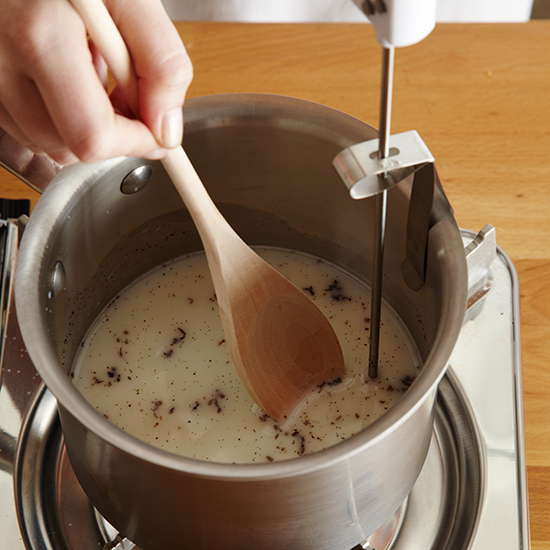 In a small saucepan, warm the milk, vanilla seeds and 1 tablespoon of the sugar over moderate heat until the temperature registers 105° on a candy thermometer. 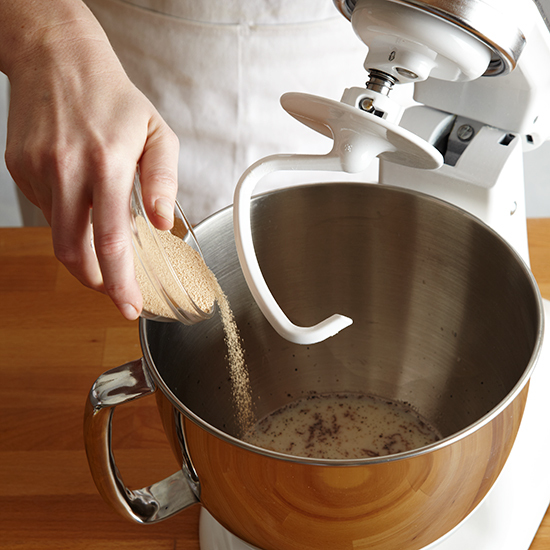 Transfer to the bowl of a standing electric mixer fitted with the dough hook. Add the yeast. Let stand until foamy, 5 minutes. 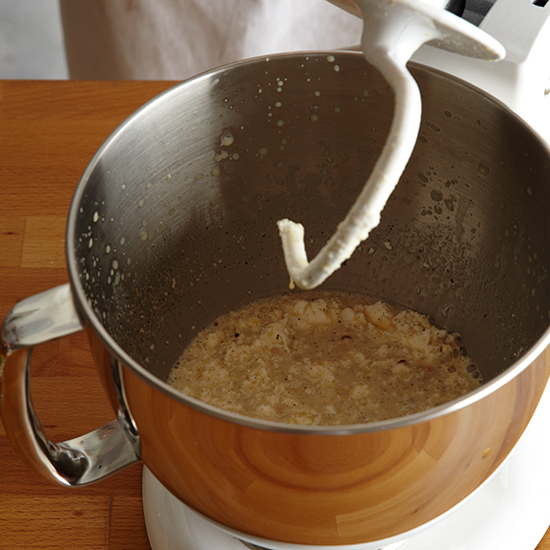 Add the shortening, egg yolks and the remaining 1/2 cup of sugar and beat at medium speed just until the shortening is broken up. Beat in the salt, baking powder and mace. 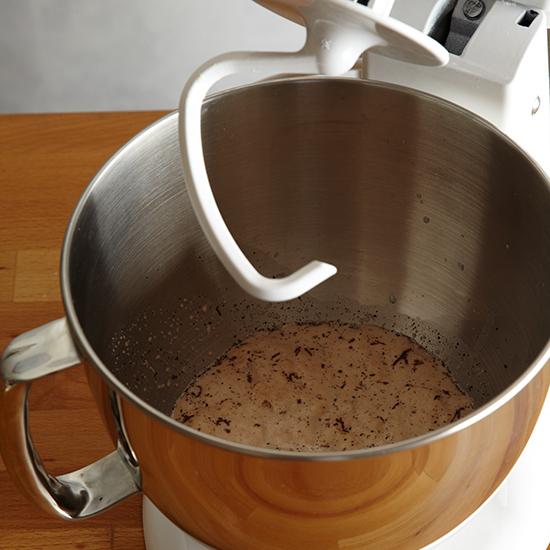 At low speed, add the flour, 1 cup at a time, until the dough is firm but still tacky (you may need to add more or less flour to achieve the desired consistency). 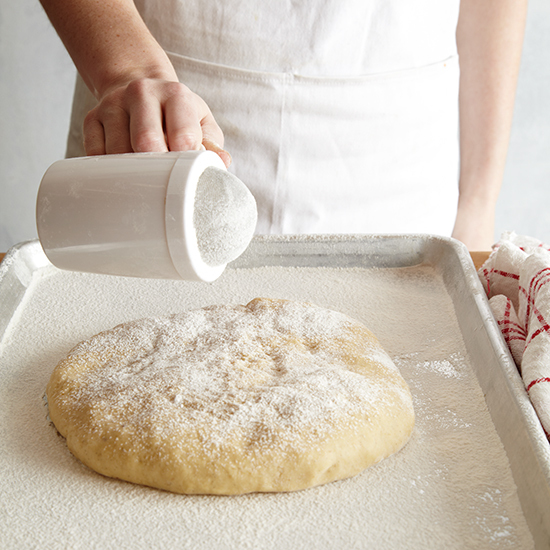 Transfer the dough to a lightly floured work surface and knead a few times; pat it into a disk and transfer to a floured baking sheet. 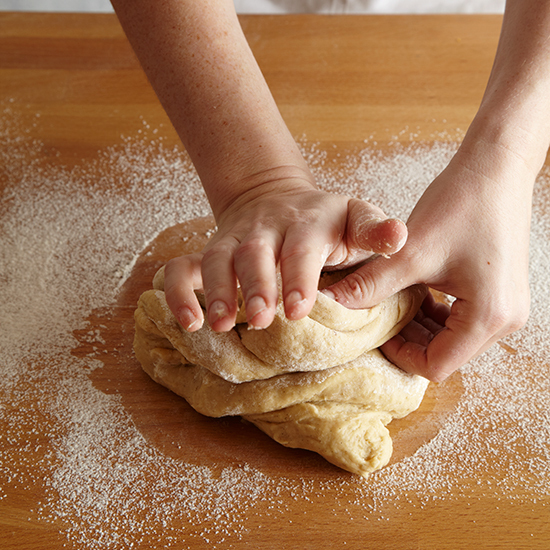 Dust with flour and cover with a towel. 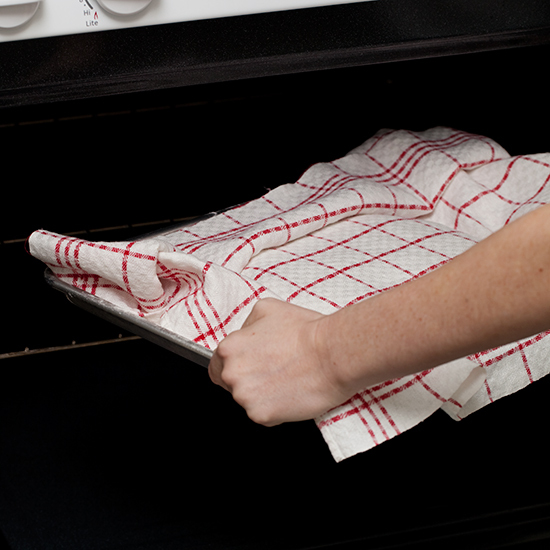 Place the baking sheet in the center of a turned-off oven. 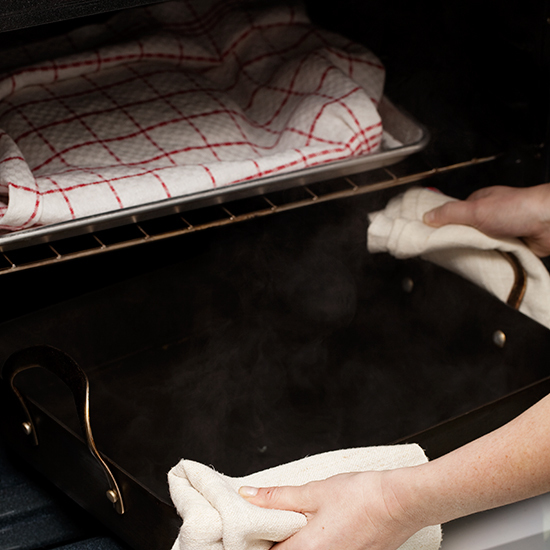 Set a large roasting pan on the bottom rack and fill it halfway with boiling water. 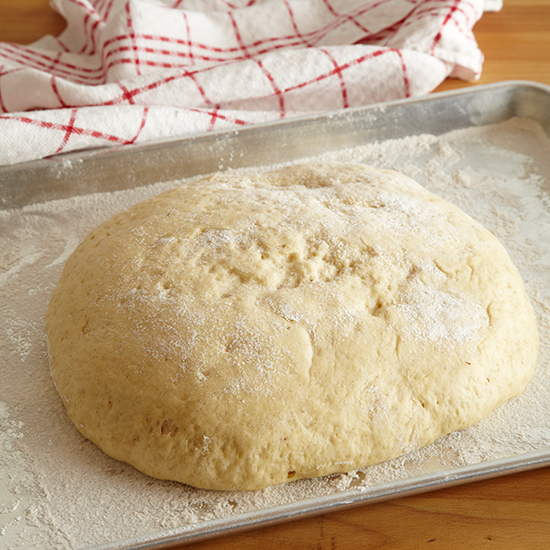 Close the oven door and let the dough stand until doubled in bulk, about 1 hour. Line 2 baking sheets with wax paper and dust with flour. 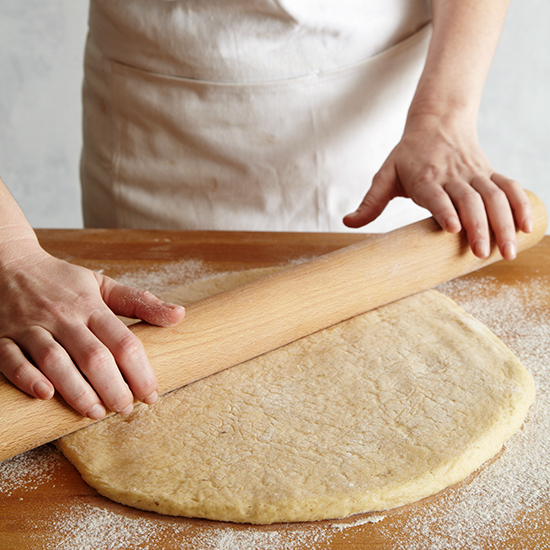 Turn the dough out onto a floured work surface and roll out to a 12-inch round, 1/2 inch thick. 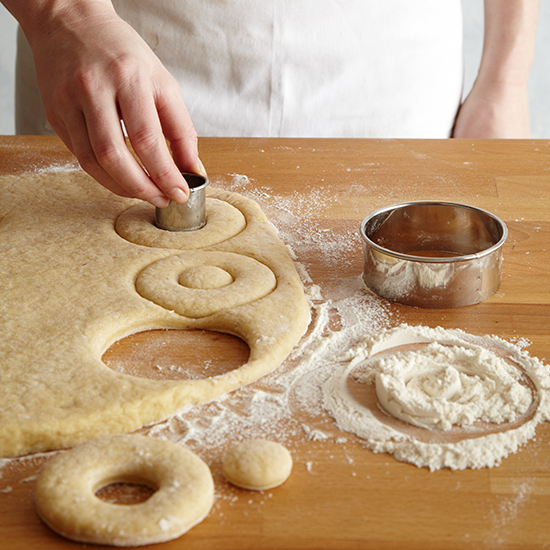 Use a floured 2 3/4-inch doughnut cutter (or 2‚ 3/4-inch and 1 1/4-inch cookie cutters) to stamp out the doughnuts as close together as possible. 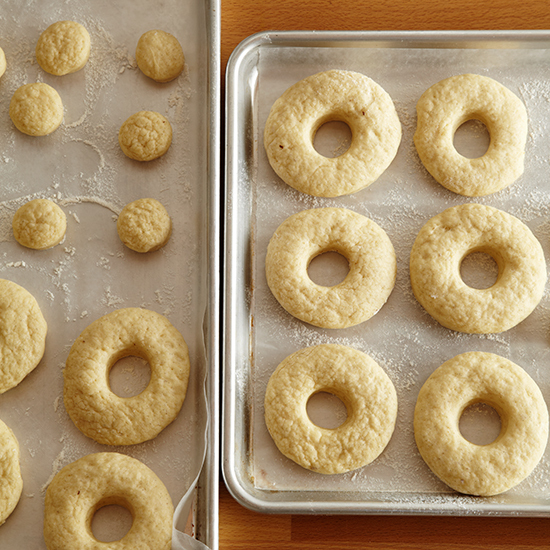 Transfer the doughnuts and/or holes to the baking sheets and return to the oven. 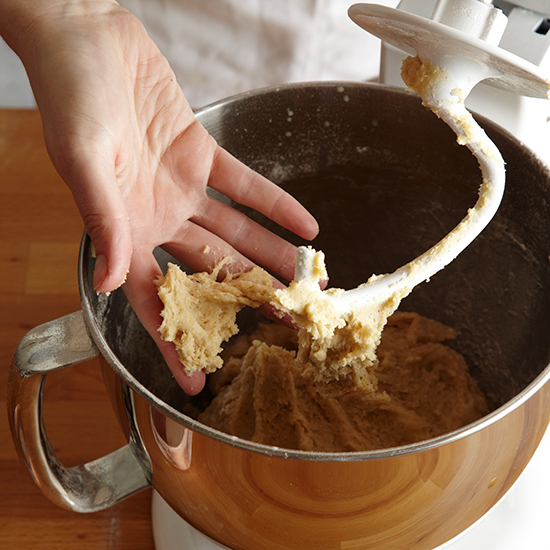 Let stand until the dough has doubled in bulk, 45 minutes. 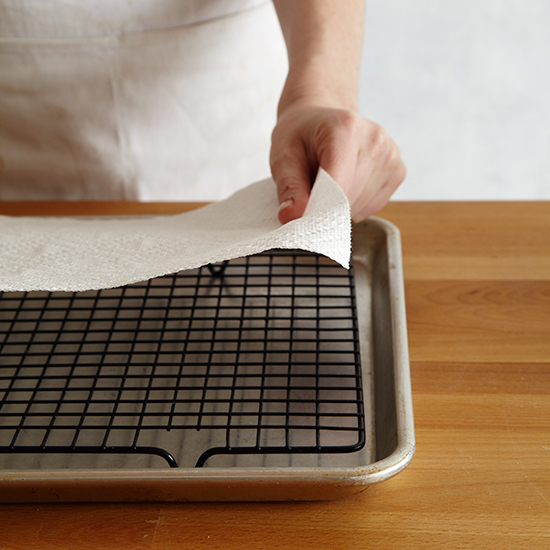 Set a rack on a baking sheet and cover with paper towels. 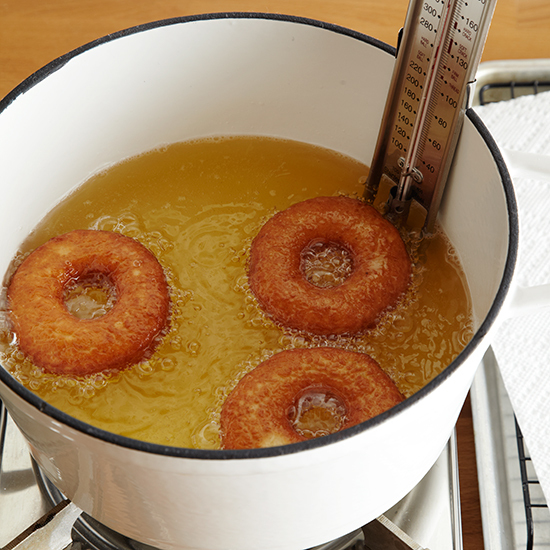 Fry 3 or 4 doughnuts at a time; adjust the heat to keep the oil between 350° and 360°. 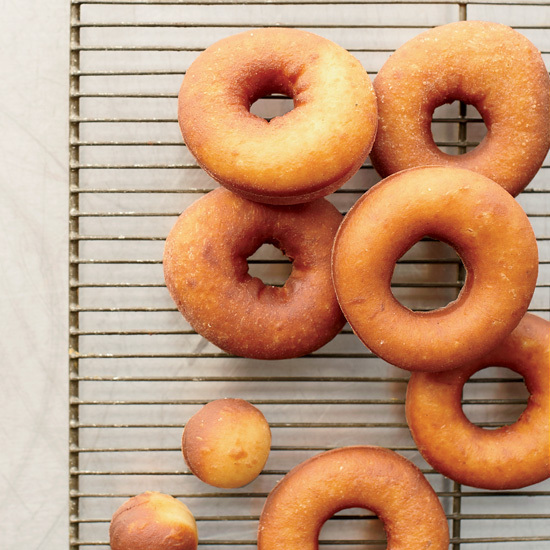 Fry the doughnuts until golden brown, 1 minute per side. 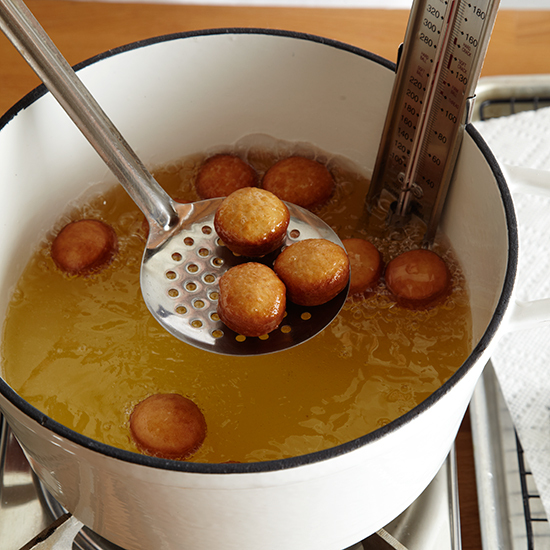 If frying doughnut holes, cook them in batches of 12. 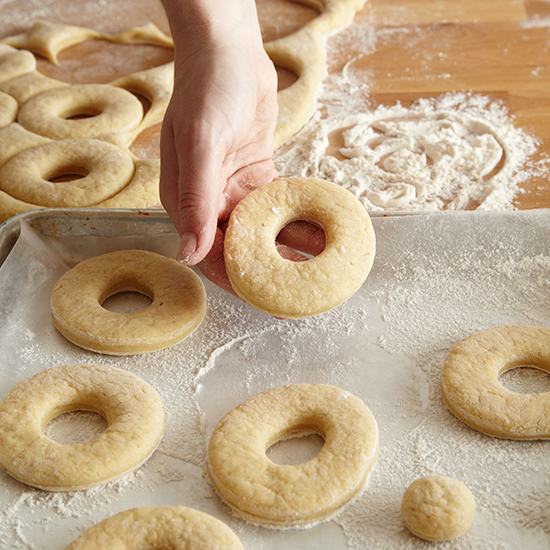 Using a slotted spoon, transfer the doughnuts to the paper towels. 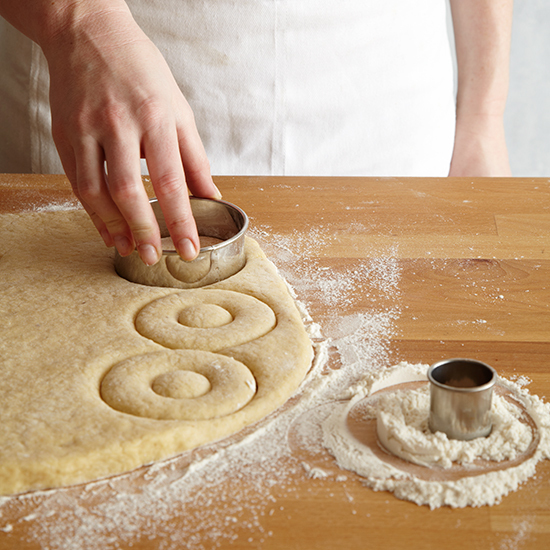 While the doughnuts are still warm, dip them in the glaze to coat the tops and invert them on a rack. Let stand. 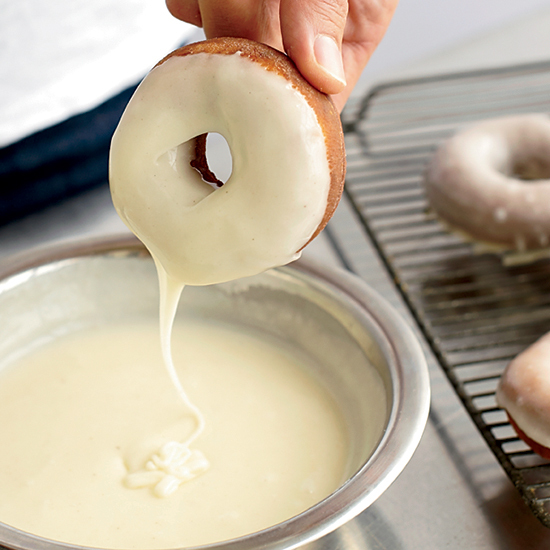 When the first coat of glaze is slightly hardened, dip the doughnuts a second time and let the glaze set again. 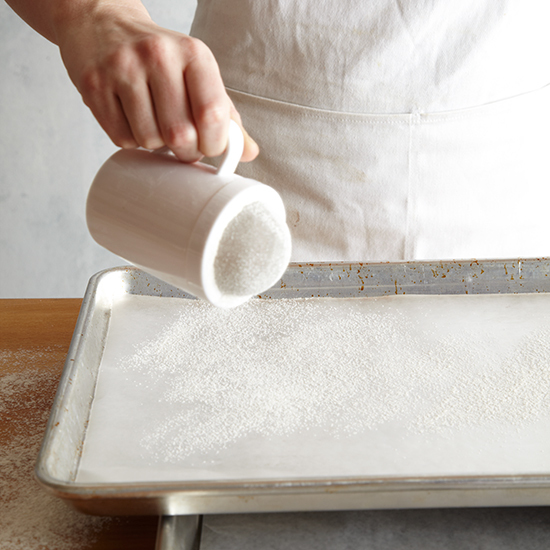 Flavored sugars are easy to make by blending herbs, dried fruits or spices with granulated sugar. 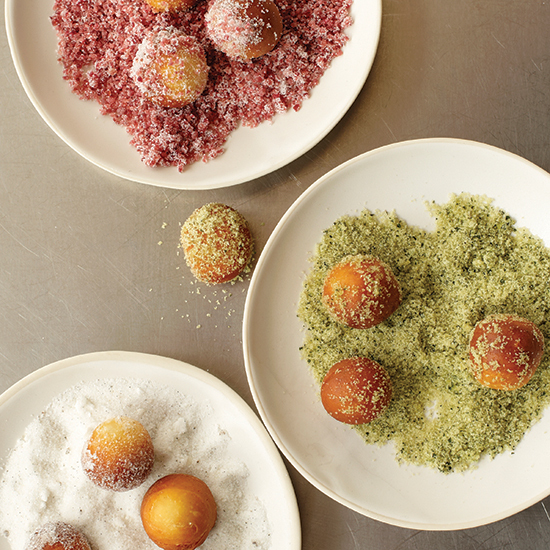 In addition to doughnuts, they're delicious sprinkled on pancakes, French toast and oatmeal.